Ahead of Saturday's 11:30am deadline, we will be combing through all 20 Premier League press conferences to bring FPL managers the need-to-know team news, injury updates and predicted XIs for GW26. The Stats Zone's other Gameweek 26 FPL content includes Captain Picks, Fixtures, Projections & Team TSZ Discussion. 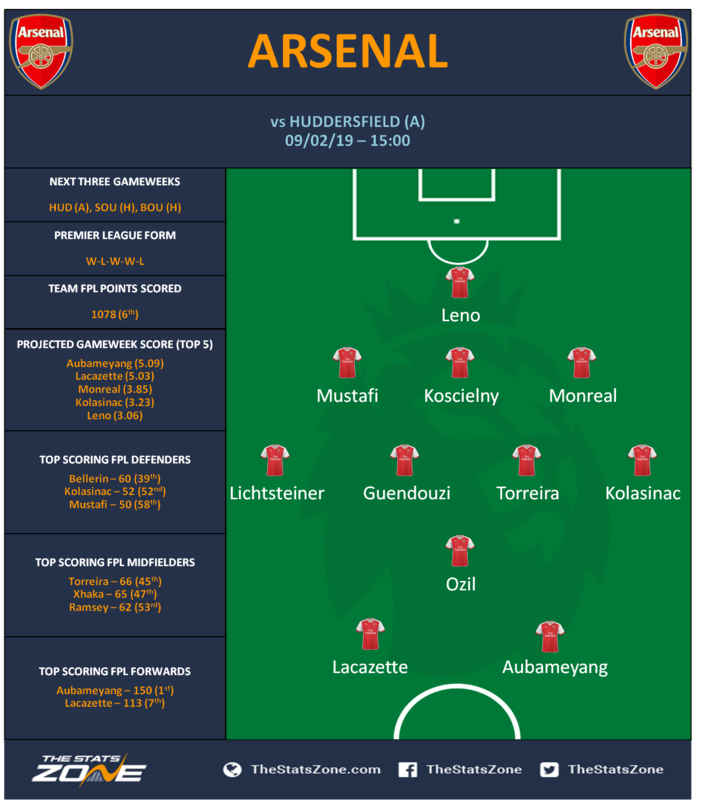 Shkodran Mustafi (£5.4m) is in full training for the Gunners, though Granit Xhaka (£5.3m) requires assessment ahead of the trip to Huddersfield. Sokratis (£5.1m) is not expected back on the training pitches until the end of this month. If Maitland-Niles is deemed fit enough he could well start ahead of Stephan Lichtsteiner (£4.5m) at right-back or right wing-back. Eddie Howe has confirmed that Callum Wilson (£6.4m) and David Brooks (£5.1m) will miss the match, with both set to be sidelined for up to the next four weeks: "David has been to see a specialist and has had scans so I think around the four-week mark for him. 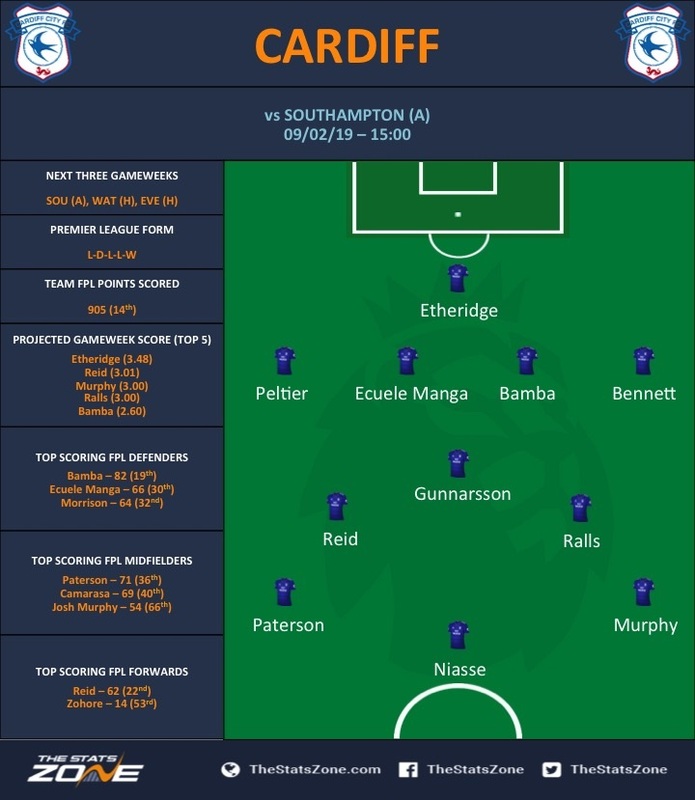 Callum had a clean-out in his knee so, again, probably around the same mark but we are not going to be able to get them back earlier than that.” The absence of the pair should see Joshua King (£6.4m) continue with the main striking role and Junior Stanislas (£6.4m) continue to rack up minutes on the pitch. Howe is also sweating on the fitness of midfielder Jefferson Lerma (£4.5m) with the Colombian set to have a late fitness test ahead of the clash against Liverpool: "He’s had a niggling ankle injury for a few weeks so has been on and off with his training this week. We will wait and see whether he’s fit.” If Lerma is unavailable, Andrew Surman (£4.6m) and Dan Gosling (£4.7m) are set to continue in the centre of midfield. 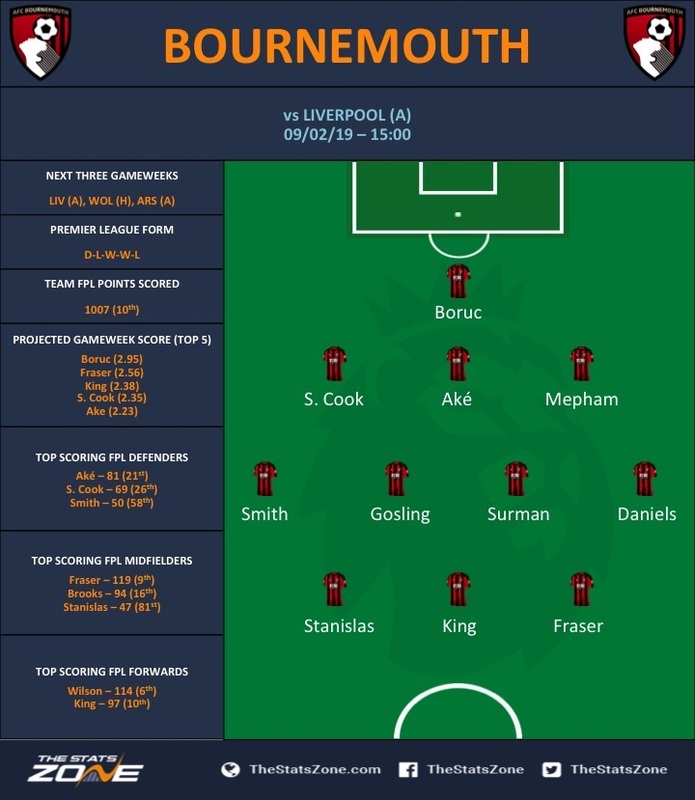 Bournemouth will be forced to make at least one change to their starting line-up with loan signing Nathaniel Clyne (£4.4m) ineligible to face his parent club. Adam Smith (£4.3m) seems the most likely to fill in at right-back for Clyne, with Charlie Daniels (£4.1m) set to be recalled at left-back. Chris Mepham (£4.5m) could come into a back three if Howe decides to bolster his defence. 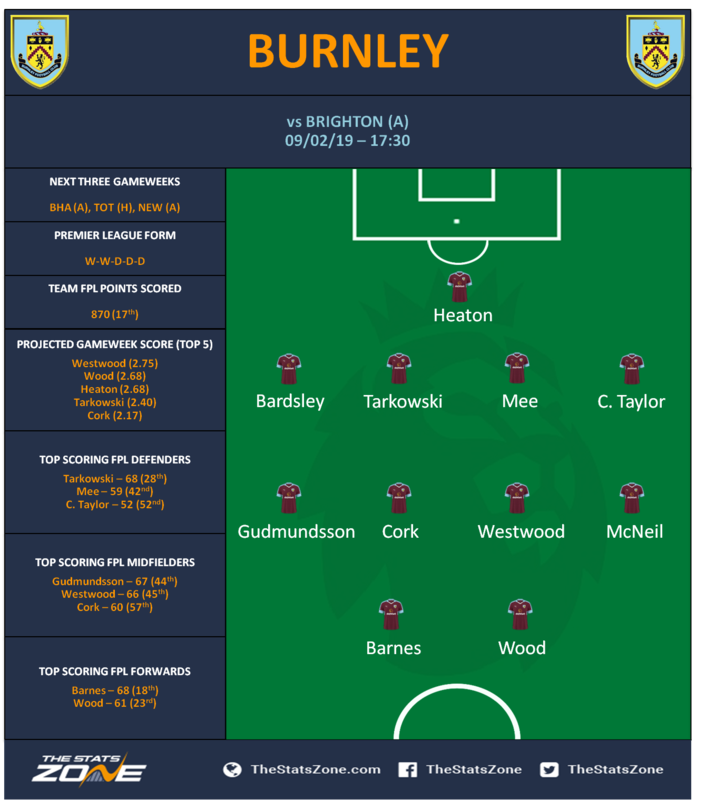 Steven Defour (£5.3m) is likely to miss out again for the Clarets, while Matt Lowton (£4.6m) faces a late fitness test. Warnock has provided an injury update on his Cardiff players: “Harry Arter (£4.9m) is back.” Victor Camararsa (£4.6m) is also nearing a return to the first team but Warnock stated that they need to be “a little bit careful” in how quickly the Spanish midfielder returns to action. Sean Morrison (£4.7m) continues to be unavailable with a March return date being reported. 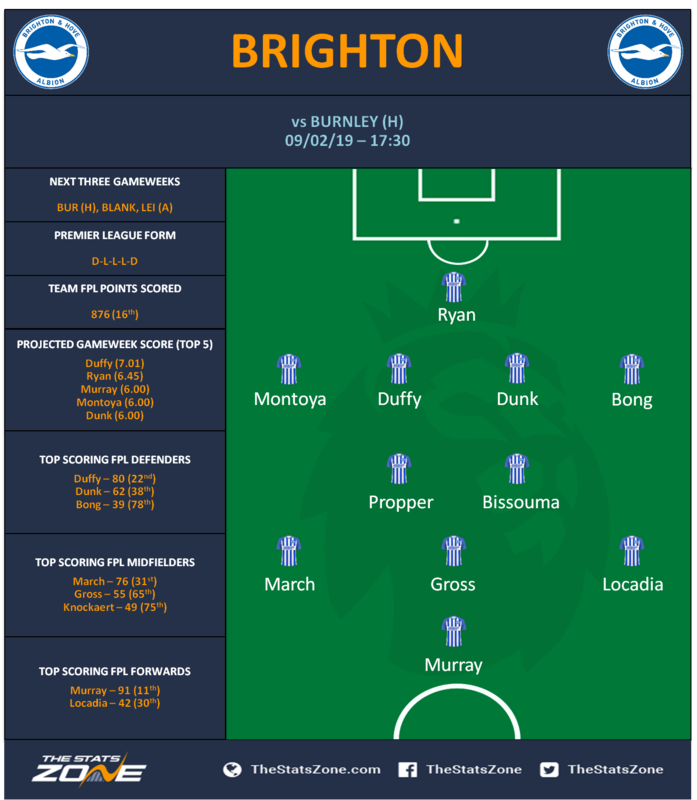 With a 2-0 victory last time out, Warnock may decide to keep faith with the same XI. Maurizio Sarri has a fully-fit squad to choose from for their trip to the Champions: "We have only some little problems. Callum Hudson-Odoi (£4.2m), he had the fever but only for one day. Yesterday we had a little problem with Gary Cahill (£5.0m) with his back but nothing serious. So I think that every player will be available." The Chelsea boss provided little update on the future of talisman Hazard: "I speak every day with Eden but about his position on the pitch. I will really be very happy with him if he wants to stay because he is the best in Europe. So I would be really very happy, but it is up to him. I want to see him happy. He has to decide." 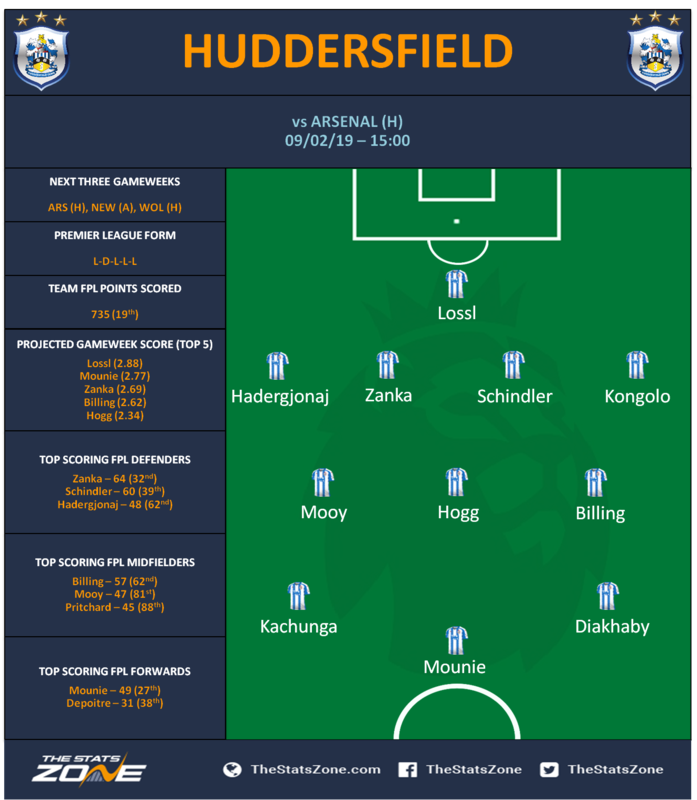 Both Antonio Rudiger (£6.0m) and Mateo Kovacic (£5.7m) were dropped for the 5-0 mauling of Huddersfield last time out. They will both be hoping for a recall at the expense of Andreas Christensen (£5.0m) and Ross Barkley (£5.1m) respectively. On the injury front, an ankle injury will keep Cheikhou Kouyate (£4.7m) out again. Julian Speroni (£4.0m) has a minor injury, but Hodgson has started Vicente Guaita (£4.2m) in each of the last two Premier League games. Papa Souare (£4.2m) is out until March but more importantly for FPL managers "James Tomkins (£4.3m) doesn't look like he'll be able to play." With Tomkins out, Hodgson declared Scott Dann (£4.4m) “fit and ready” should he be called upon. After registering an assist from the bench, Michy Batshuayi (£6.5m) will be hoping to earn his first start since his loan move to Palace. 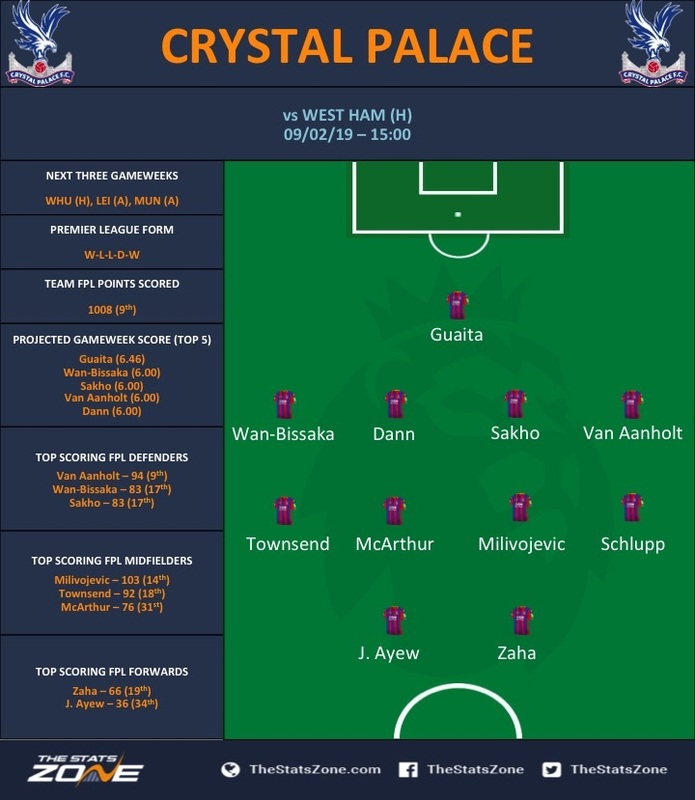 Should Batman come in, expect to see one of Jordan Ayew (£5.7m) or Christian Benteke (£6.3m) drop to the bench. On the injury front, the Everton boss has confirmed that both Leighton Baines (£5.0m) and Phil Jagielka (£4.3m) remain out. Yerry Mina (£5.4m) is close to a return and set for a late fitness test. 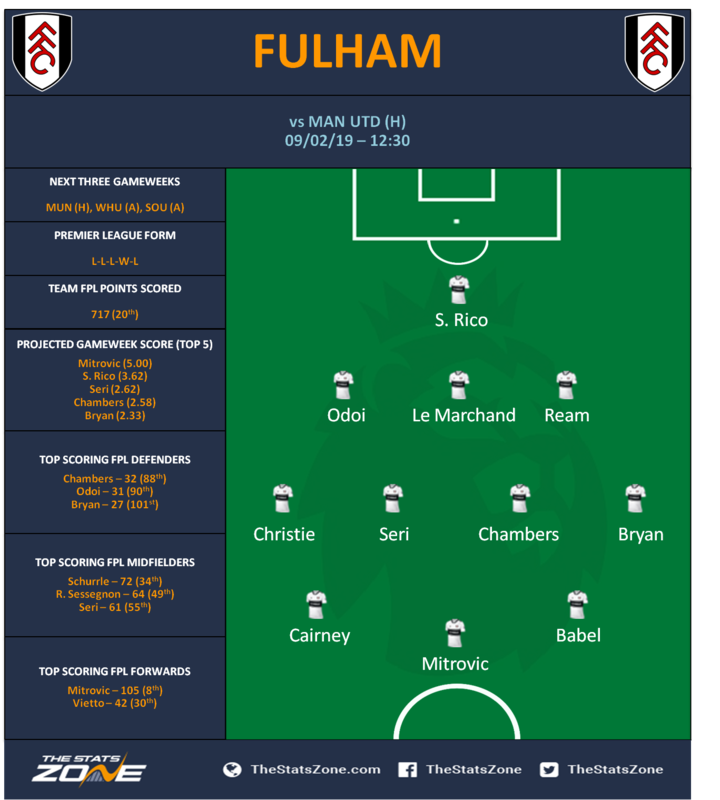 Tim Ream (£4.2m) was hooked early for the second gameweek in a row last weekend as Ranieri moved from 3-5-2 to a back four. Luciano Vietto (£5.3m) was the American’s replacement in GW25 and will be pushing for a start if the Italian manager opts for 4-4-2 from the off. 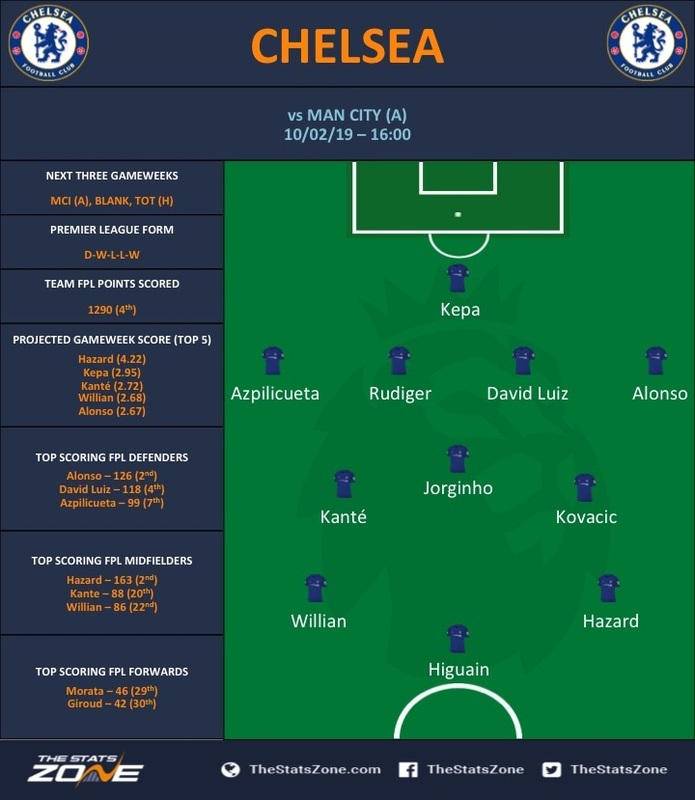 Having shipped five goals to Chelsea last weekend, Siewert may be tempted to recall players such as Zanka (£4.4m) and Florent Hadergjonaj (£4.4m) in defence. Claude Puel has confirmed Marc Albrighton (£5.1m) could miss the remainder of the season after suffering a "serious" hamstring injury on the eve of last weekend's game with Manchester United: “He’s had a serious hamstring injury. It’s bad news for us, for the team, and I think he will not be available until the end of the season.” Along with Albrighton, Daniel Amartey (£4.3m) is the only other injury Puel has to deal with. However, Dejan Lovren (£4.9m) is to remain sidelined with a muscle issue: "Dejan is not available. No [timeframe], we work on the Bayern game, but we don’t know exactly.” Klopp did confirm Joe Gomez’s (£4.9m) surgery was a success and the defender is hoping for a return to play within four to six weeks. 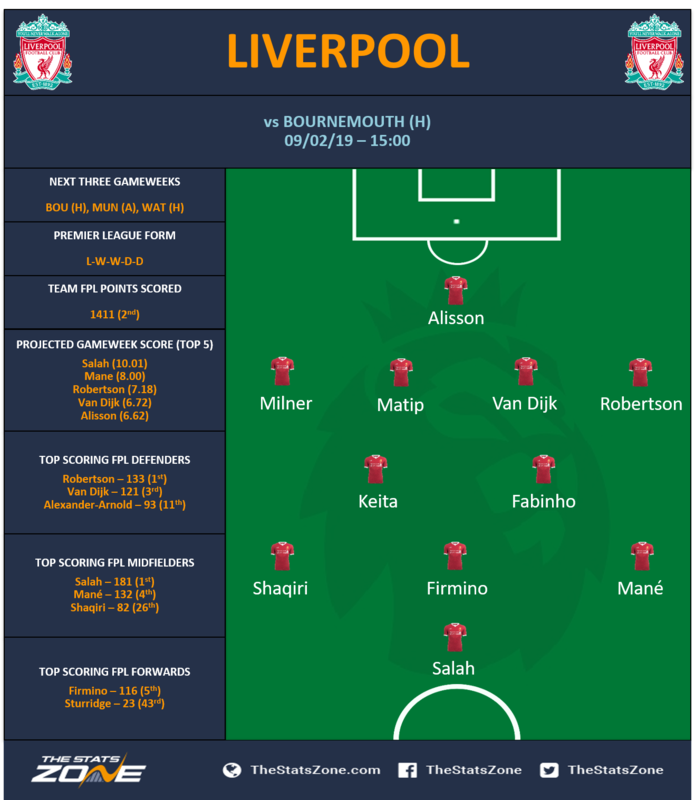 Having been on the bench last time, Xherdan Shaqiri (£7.0m) is in-line to start as Liverpool attempt to return to the summit of the Premier League. Manchester City will once again be without the services of Vincent Kompany (£5.2m) and Benjamin Mendy (£6.1m) for the visit of Chelsea. Asked on Mendy’s return, the manager said, "Benjamin Mendy is injured and it's not easy. Meniscus. It is not easy. He needs to readapt. You can’t return and train for two days and then you are fit. You have to be careful." Having been brought off early against Everton, Sergio Aguero (£11.4m) is likely to feature from the start again. On the Argentinian, Pep had this to say, “The big players need to appear in the key moments and he does it, in the big games we need big players. The game belongs to the players and important games belong to big players.” Given City have rarely played with two up top this season, that would seem to suggest Gabriel Jesus (£10.0m) is likely to be on the bench. Raheem Sterling (£11.3m) is in-line for a recall having been dropped to the bench for the midweek match against Everton. It could be in place of Leroy Sane (£9.7m) who Pep again brought off early in that match. Having returning from injury last time out against Leicester City, Anthony Martial (£7.2m) will be hoping to earn a recall at the expense of Alexis Sanchez (£10.0m) for United’s trip to Fulham. Fresh off his new contract, Phil Jones (£5.1m) will also be hoping for a recall to the starting XI. Other than the defensive trio, Solksjaer has no other injury concerns and gave no hints to his team selection during his press conference. Rob Elliot (£4.3m) and Jonjo Shelvey (£5.3m) look to be the only two players missing through injury. "Everyone else is fit and available." Ki Sung-yueng (£4.7m) and Paul Dummett (£4.4m) are back in contention for Newcastle, whilst Mohamed Diame (£4.8m) is over his recent hip problem. Yoshinori Muto (£5.6m) is back following his involvement at the Asian Cup. 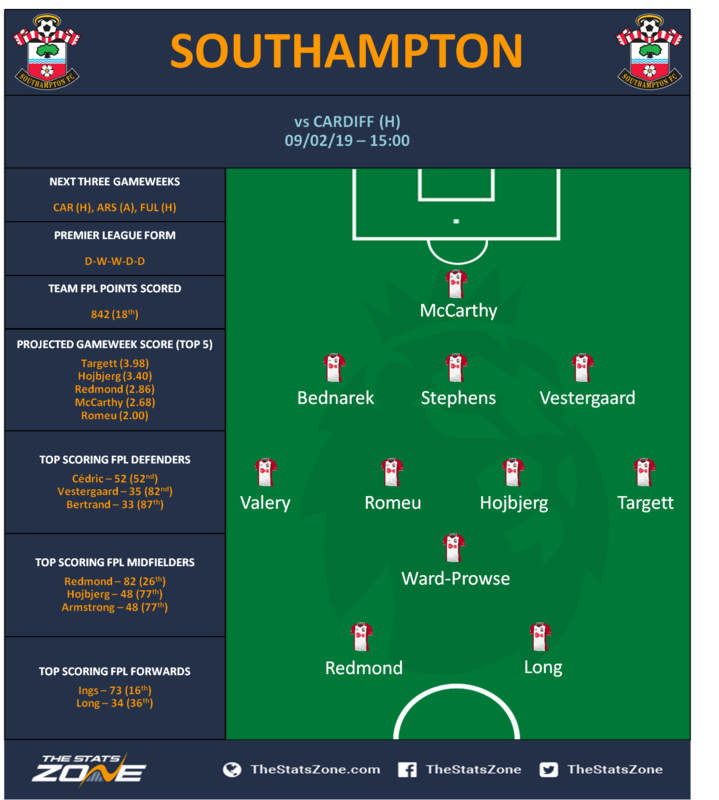 Hojbjerg’s return could see Callum Slattery (£4.5m) drop out in midfield, while Yan Valery (£4.0m) could earn a start at right wing-back if James Ward-Prowse (£5.1m) is preferred in a more central role. Stuart Armstrong (£5.1m) will keep his place if JWP remains in a wider role. 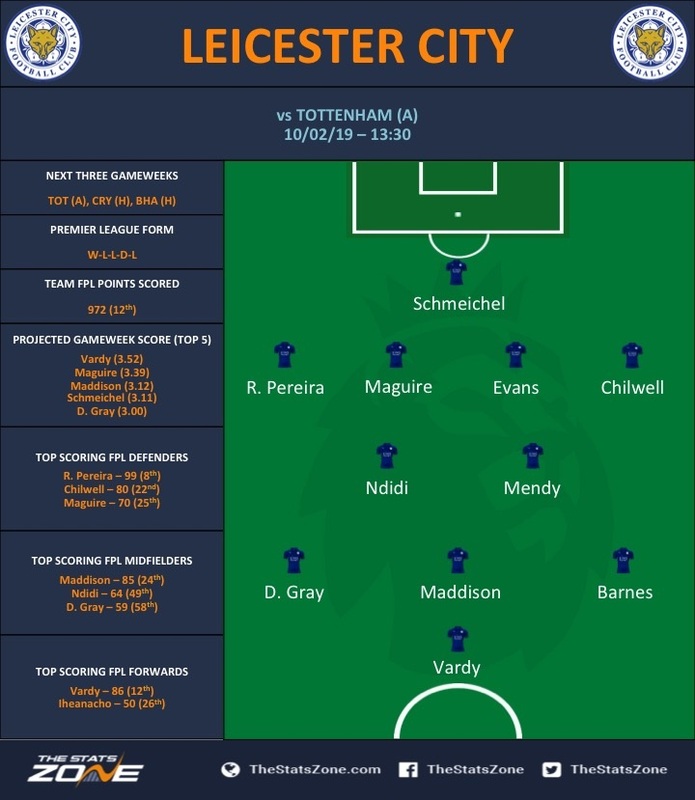 Pochettino has a number of injury concerns ahead of their Sunday clash against Leicester. Harry Kane (£12.4m), Dele Alli (£8.9m) and Ben Davies (£5.6m) continue to be sidelined, though Kane and Alli have commenced on-field rehabilitation in a bid to step up their bid to return to fitness. Eric Dier (£4.7m) and Vincent Janssen (not in FPL) have also joined the list of absentees. Kane in particular is progressing far ahead of schedule with Pochettino hopeful that the striker will be available as early as the fixture against Burnley (GW27). 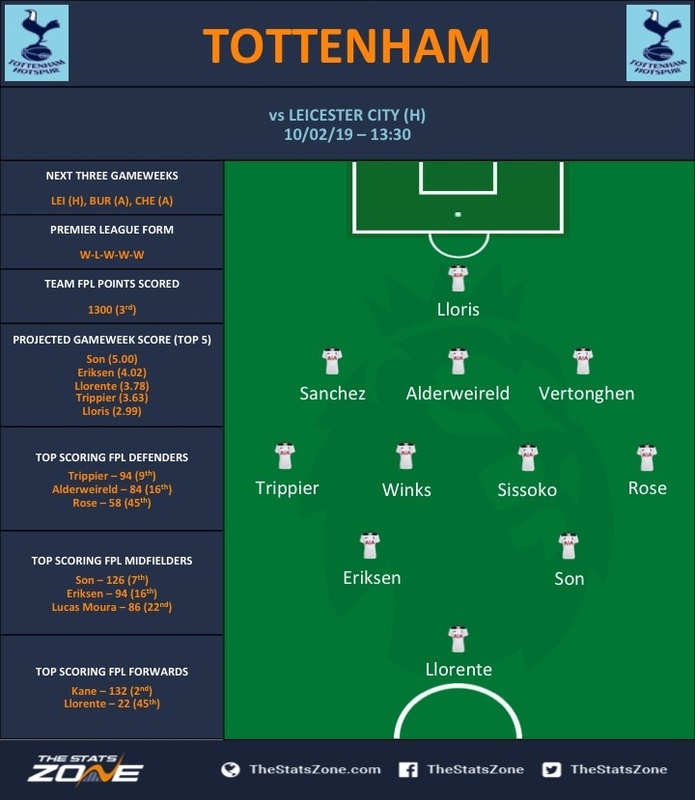 The return of Heung-Min Son (£8.8m) from the Asian Cup has seen Fernando Llorente (£5.7m) drop to the bench for Tottenham’s last match against Newcastle. However, the Spaniard could return to the starting XI after being brought on and registering the assist in that match. Abdoulaye Doucoure (£5.9m) and Kiko Femenia (£4.2m) are set to return for the Hornets. Javi Gracia said yesterday: “He [Doucoure] is training with the team and I think he is ready for the next game. I think he will be ready, but we’ll decide the line-up tomorrow. He will be in a good condition to compete. 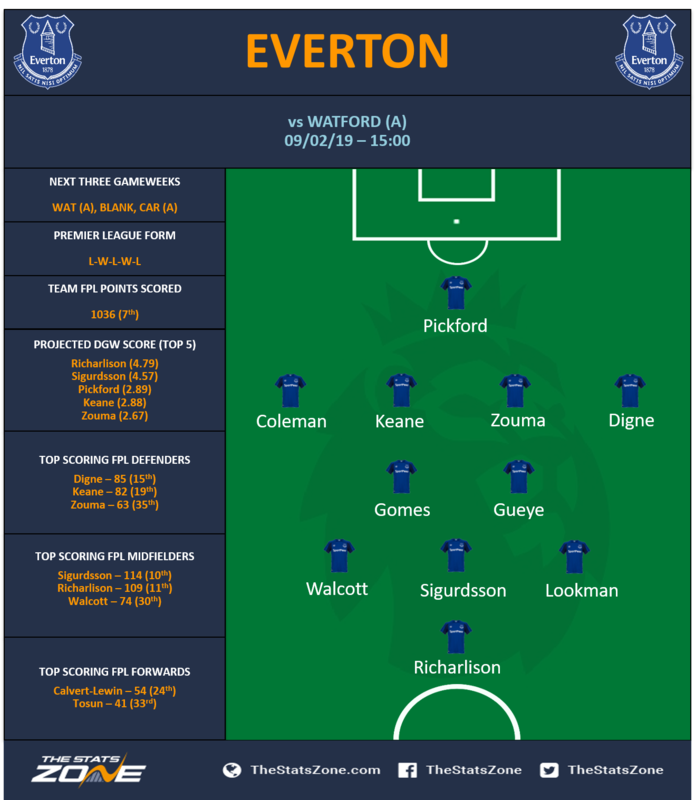 We have two players, in Kiko and Doucoure, who have both been injured the last week, but they started training this week and both have possibilities to play.” Doucoure could displace Tom Cleverley (£5.0m) in central midfield if the Frenchman is considered fit enough to start. Roberto Pereyra (£6.2m) remains sidelined. Gracia explained: “It is something in his hamstring. He needs more time to recover. In a couple of days we’ll see if he will be ready. It is always important not to lose one player like Roberto, but you know I don’t like to complain about players I don’t have. I prefer to focus on players I have available.” Isaac Success (£4.6m) is also unavailable. 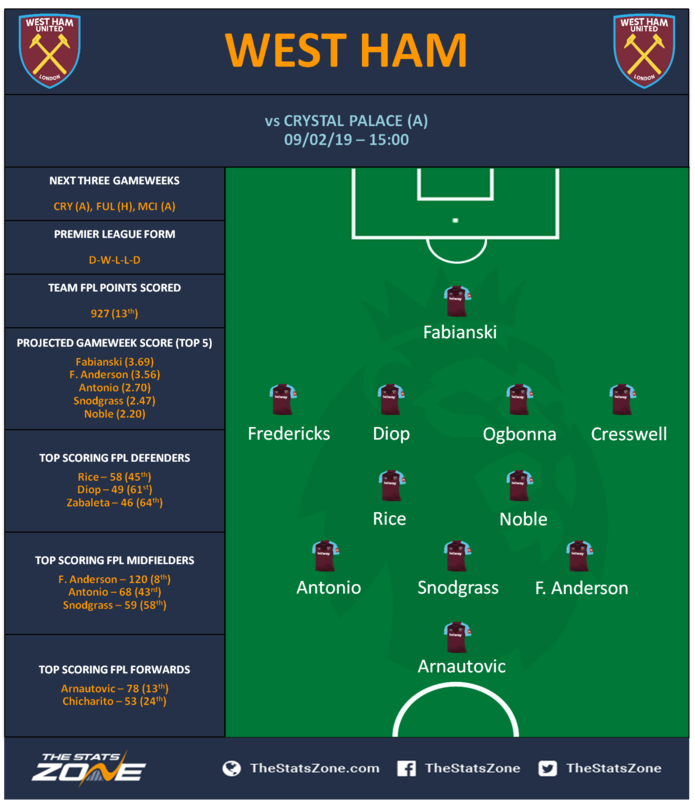 Pablo Zabaleta (£4.3m) has a fight on his hands for the right-back spot in Pellegrini’s XI after Ryan Fredericks (£4.5m) impressed on his return from a long-term layoff in GW25, as the Irons held Liverpool to a 1-1 draw at the London Stadium. With Wolves away at a training camp in Marbella, updates on the squad are difficult to come by. 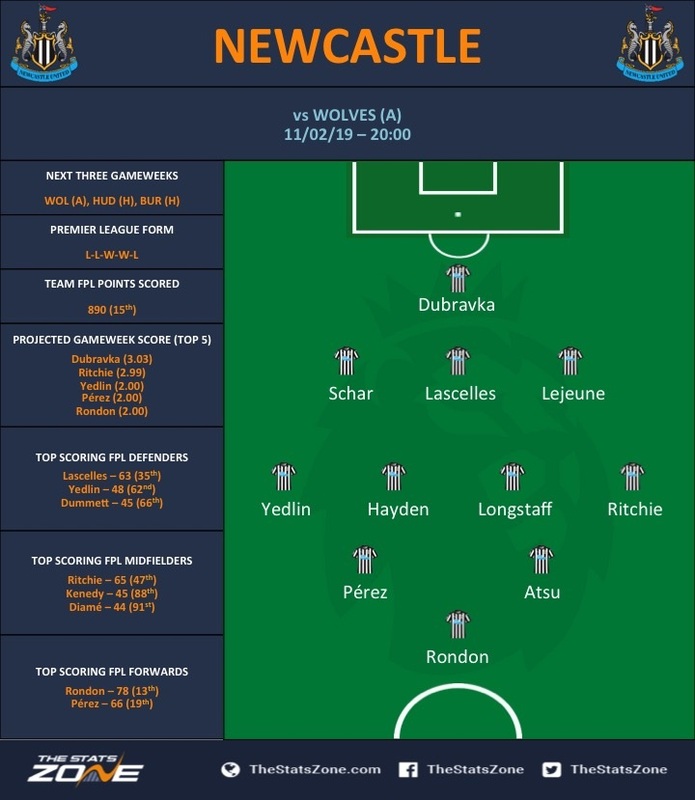 However, with three wins in their last three matches it would be a surprise if Nuno Espírito Santo were to make many changes for the team’s upcoming match against Newcastle. 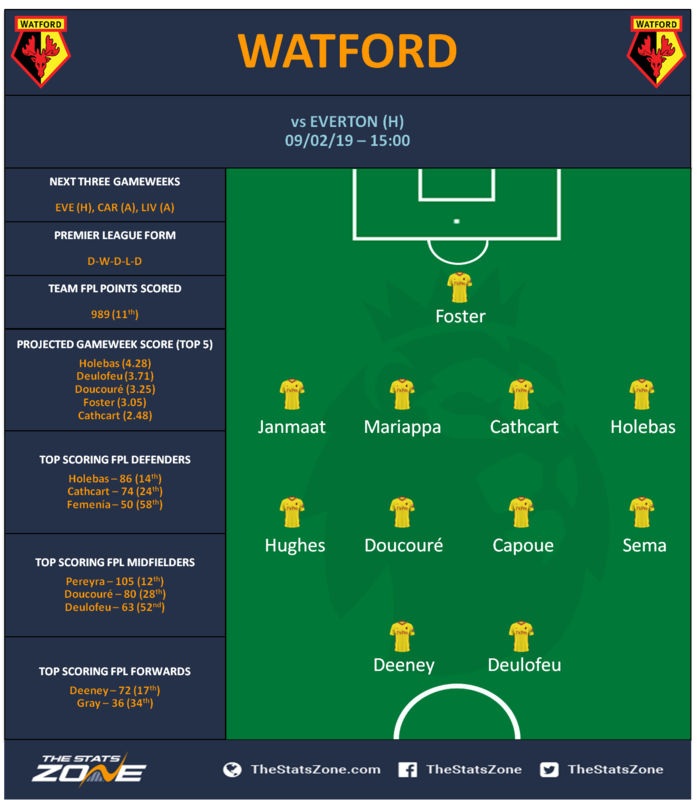 Diogo Jota (£6.0m) is questionable for the match having picked up a knock against Everton last time out. Before their FA Cup replay against Shrewbury, Nuno provided an update in the midfielder: “With Jota, it was a kick in the game against Everton. He didn’t train today, he’s improving, but we have made a decision not to involve him tomorrow [against Shrewsbury].” If Jota is unable to play, any one of Helder Costa, Adama Troare and Ivan Cavaleiro (£5.2m) could be set to replace him. Ruben Vinagre (£4.3m) also missed the victory over Shrewsbury Town midweek with illness but is expected to recover by Monday night. Jonny Castro (£4.4m) would seem the most likely to be rotated out if Nuno decides to play Vinagre.